The Samsung 700G7C is a high end laptop, aimed at those with a slightly larger budget - with a retail price of around £1500, it certainly isn't cheap - however it does offer a great deal of laptop for your money. An Intel Core i7 3630QM 2.4GHz Processor, a massive 16GB RAM, complete with a huge 1.5TB hard drive means this laptop has more power than the majority of desktop PCs - if you need serious computing power whilst out and about, this notebook could be the one for you. Read on for our Samsung 700G7C Review. 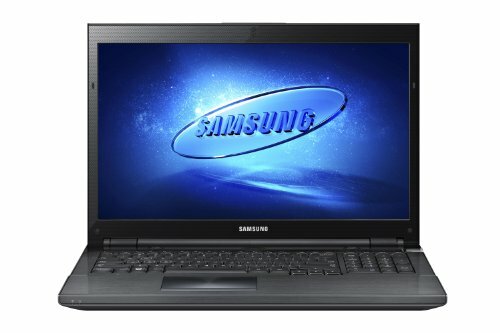 Below is our review of the Samsung 700G7C, a 17.3" laptop, featuring 16GB RAM, 1.5TB hard drive and Windows 8. So you've got a fairly large budget to spend on a laptop, but are unsure which model to choose. here we look at the Samsung 700G7C - one of Samsung's high end notebooks, with a pretty high price tag, but with a decent specification to match. We take a look at the Samsung 700G7C in our review, to see just what £1500 buys you, and to see if it offers good value for money. The design of this notebook is stunning - as you'd expect Samsung have put a lot of thought into it. The unit feels solid, and you get the sense that this notebook is very well made. A slight criticism is that the glossy finish can show finger prints upon regular handling, but this really is a minor point. In terms of size, the 700G7C isn't the smallest - with high end laptops you tend to have to choose between size or specification - this laptop offers an awesome specification, above the majority of desktop computers, and thus has had to compromise a little on weight and size as a result. Weight is 3.81kg, and in terms of overall dimensions it is 40.9cm by 28.5cm in height and width, and between 3.3cm and 4.9cm in depth. The 17.3" screen offers a simply stunning picture - bright, crisp and vibrant, even running at 120GHz - and the glossy finish doesn't affect this at all, such is the brightness of this model. All of our testers were impressed by this aspect of the notebook, operating at a resolution of 1920 by 1080 pixels. Audio wise the laptop offers a very good sound - granted it won't replace your expensive external speakers, but for a laptop it offers a very good listening experience. The back lit keyboard is among the best we've ever used - offering an extremely comfortable and accurate typing experience. The touch pad offers a similar level of quality - very accurate and responsive - no issues here. Inside the laptop you'll find the Intel Core i7-3630QM - a extremely fast quad-core processor, and successor of the i7-3630QM, it is based on the Ivy Bridge architecture. Due to Hyperthreading technology, the quad cores can handle up to a maximum of eight threads in parallel thus providing more effective use of the CPU. Each individual one of the four cores provides a base speed of 2.4 GHz but can also increase the clock rates with Turbo Boost, which offers speeds of up to 3.2 GHz (when using 4 active cores), 3.3 GHz (when using 2 active cores) and 3.4 GHz (when using 1 active core). 16GB of RAM is very impressive indeed - traditionally laptops are usually the slower cousin of your main desktop PC - not so with this model - you'd be surprised just how fast it runs, and which applications it can handle. Storage is catered for by a massive 1.5TB in the form of 2 x 750GB hard drives running at 7200rpm - this is far more space than the majority of users will even get close to filling - they ran fast and offered speedy reading and writing. In terms of connection you are supplied with: Bluray drive, 2 x USB 3.0, HDMI, ethernet, VGA, 2 x USB 2.0, headphone and microphone, and a Display Port. So overall what did we make of the 700G7C? Amazing specification, ran very well, looks great. Slightly large and heavy - minor complaints though. Overall the Samsung 700G7C is a simply stunning laptop, offering an incredibly fast computing experience at a relatively low cost. If you need a performance laptop, then the 700G7C is worth a second look.